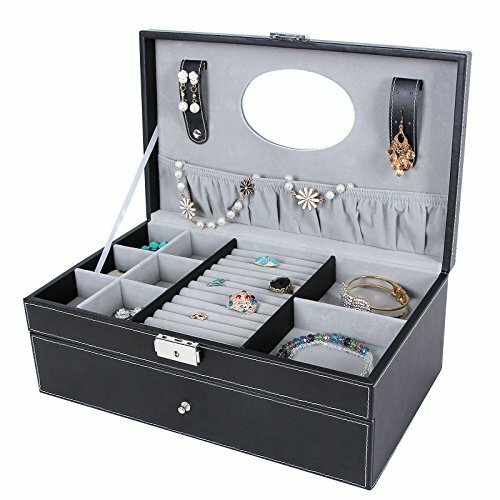 An elegant and modern looking jewelry storage box, this chic and smart product will prove to be very efficient when it comes to keeping your belongings safely stored! 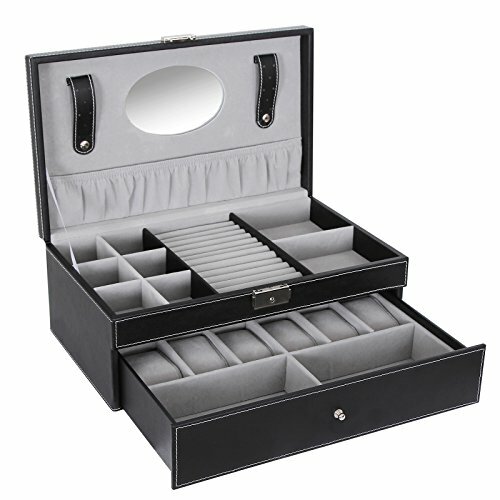 It is a large and multifunctional box that will easily accommodate plenty of your things! The product has been manufactured out of high quality black faux leather that is very durable. 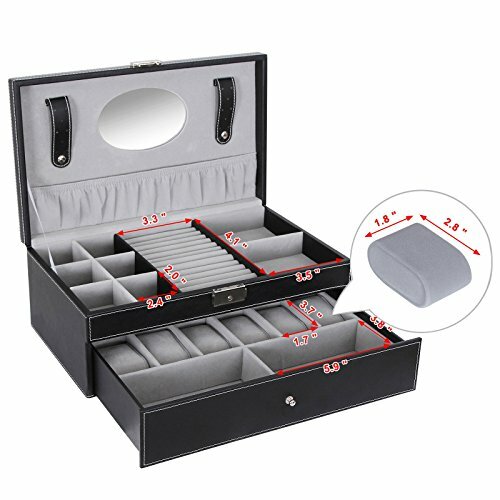 It presents multiple kinds of compartments in order to fit a wider range of your possessions. 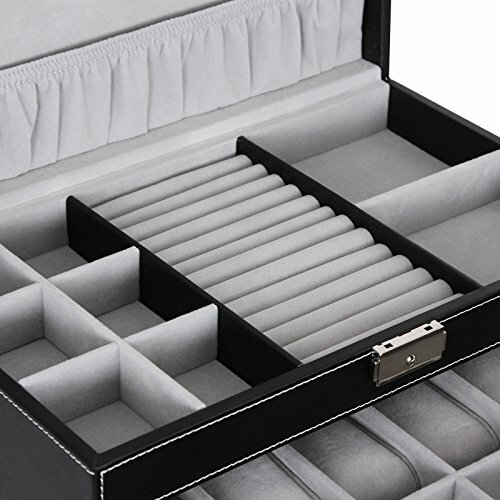 It has got one large pocket, a long ring case, six watch slots who are equipped with removable velvety pillows, two medium sized sections that are perfect for your bracelets and plenty of other various drawers! In addition to that, it has also got a beautiful oval shaped mirror on the inner part of the lid for your convenience! There are two earring hooks on each part of the mirror as well and a long pocket underneath. 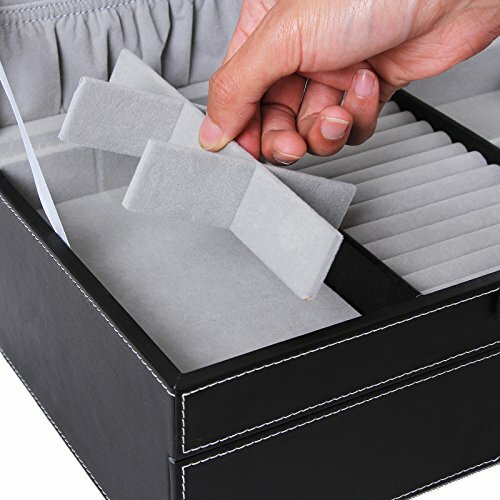 Some of the sections are big enough to store even your make up products, therefore making this item very efficient and useful! 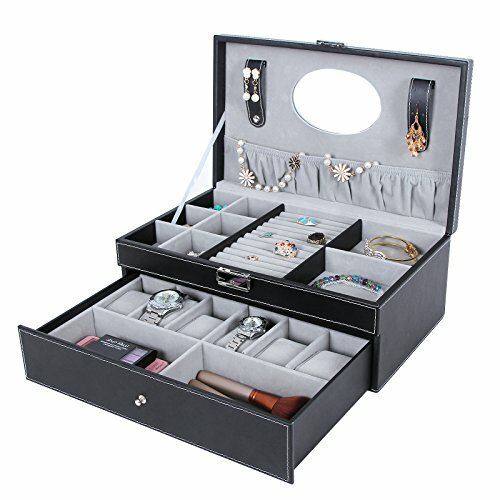 Not only will you be able to store your jewelry collection, but plenty of other necessary things! 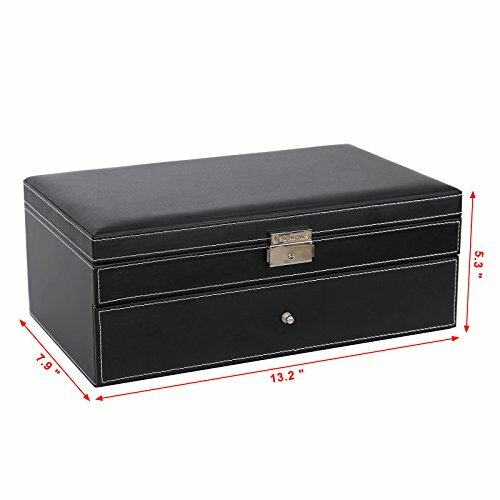 Moreover, the box can be locked with a key and it has got a metal latch, thus making it even more secure for your precious items! The measurements of this product are the following: 13 1/4″ L x 7 7/8″ W x 5 3/8″ L (33.5 x 20 x 13.5 cm) and its weight is 4.6 lb (2.1 kg).